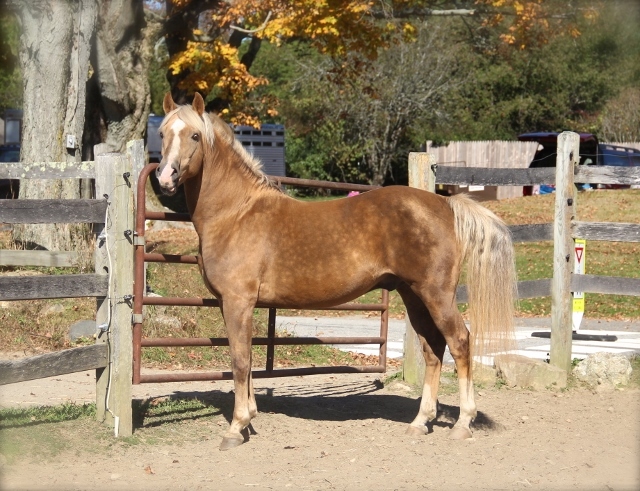 Equinox Ray of Light is a beautiful golden palomino with a flaxen mane and tail. He combines athletic ability and type with distinctively Morgan good looks. A kind gentle disposition makes Ray a true gentleman on the farm. Ray’s get are easy to work with and intelligent. Equinox Ray of Light get include: Windfield Ballerina, Windfield Cameo, Windfield Cameron, Windfleld Charisma, Windfield Crescent Moon, Windfield Destiny, Windfield Dreamcatcher, Wlndfield Eagle, Windfield Ebony Eclipse, Windfleld Elite, Windfield Fairy Dust, Windfield Falcon, Windfield Fiesta, Windfield Galahad, Windfield Honeysuckle, Windfield Isabella, Windfield Isadora, Windfield Ivory, Windfield Ivy, Windfield Julianna, Windfield Jupiter, Windfield Kalua, Windfield Karma and Windfield Katahdin. April 10, 1978 - November 18, 2005. 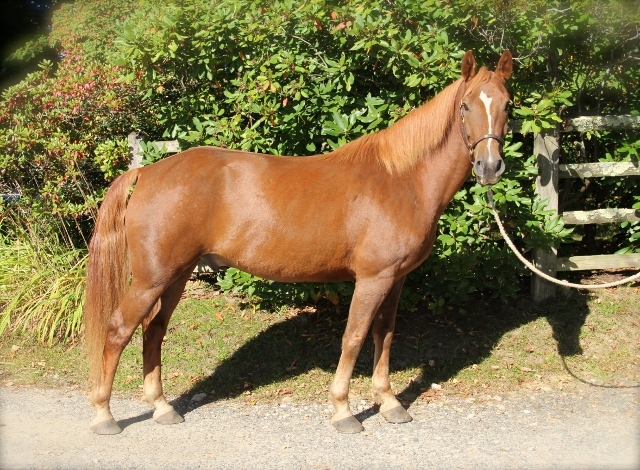 Equinox Tristan arrived at Windfield Morgan Farm when he was three years old. He exemplified the Morgan attitude, personality and performance that we prize in our breeding program. Although Tristan has earned many Championship titles, his true legacy was in his wonderful disposition and gentle manners. 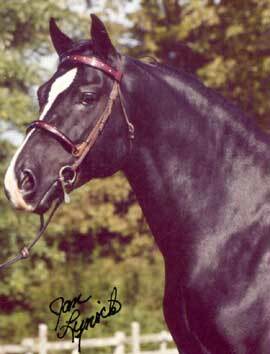 A favorite of all at the farm, he stamped his gentle disposition on his foals and many of his offspring can be seen at the farm. Tristan has 60 registered offspring and probably that many non-registered. As sometimes happens, Equinox Tristan was rewarded his rightful place in 2005 when AMHA redid his DNA and it was found that Equinox Tristan's father was indeed Courage of Equinox. The papers of all his get have been changed and we are very proud of his heritage. "Thank you Tristan, you have given us 110% and for that you will always be in our hearts." 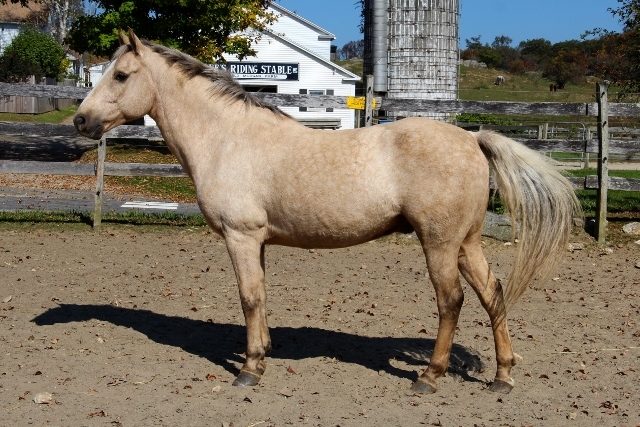 Windfield Yankee Gold was a dark golden dappled palomino with a flaxen mane and tail We stood Yankee for two years, when we decided that we were down sizing the stallion population, and Yankee became a gelding in 2000. 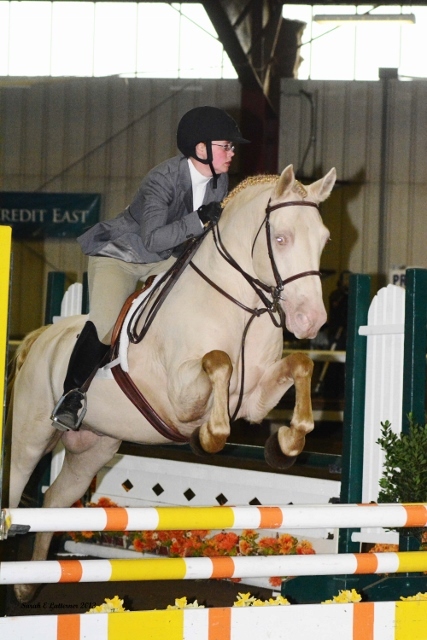 He was a real eye catcher and the horse everyone wanted to ride. Unfortunately, he left us too soon. 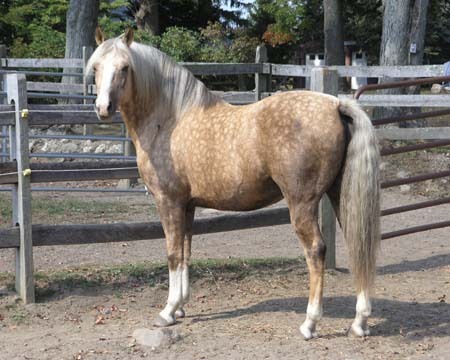 Windfield Yankee Gold’s get are Windfield Dottie, Windfield Damsel, Windfield Dante, Windfield Charlie Russell, Windfield Casanova and Windfield Carol's Gold. Windfield Bravado has grown into everything we hoped he would. He is a phenomenal mover, extremely intelligent and a perfect gentleman to work around. Bravado is a wonderful friendly spirit. We hoped great things from this colt and he didn't disappoint us. 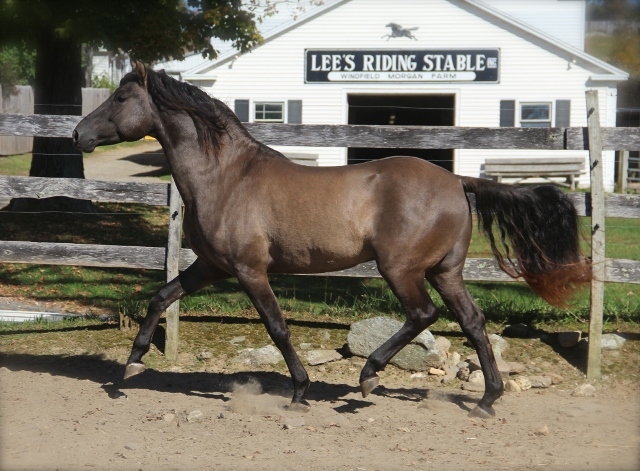 It was hard to decide to geld him, but he has gone on to win many awards in the Hunter Jumper shows all over New England and is a true ambassador for versatility in the Morgan breed. Windfield Bravado's get are, Windfield Excellency and Windfield Effervescence.